This popular article and its infographic, originally published on November 15, 2015, have been updated by Michael Gord to reflect the major developments since then in the world of Bitcoin and blockchain. 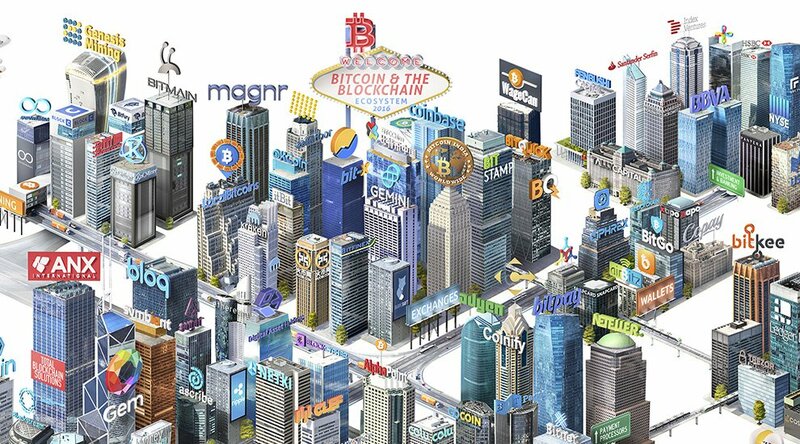 In the fall of 2015, BitPay and BTC Media (parent company of Bitcoin Magazine) commissioned Josh Dykgraaf, an artist based in Amsterdam who specializes in 3D and photo illustrations, to design an infograph as a guide to navigating the emerging Bitcoin and blockchain ecosystem. 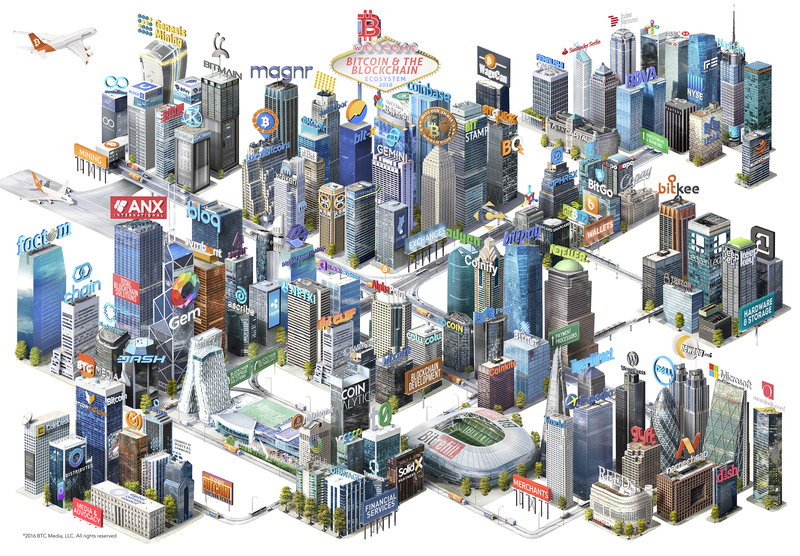 The infographic has been so popular, and the growth in the ecosystem so dynamic, that BTC Media commissioned Dykgraaf to create an updated poster which made its debut in March at SXSW®, and is available as a digital download (JPEG, PDF) or printed copy. On January 3, 2009, the Genesis block, or the first block in the Bitcoin blockchain, was created. In the coinbase parameter, there was a simple message: “The Times 03/Jan/2009 Chancellor on brink of second bailout for banks.” From that one block, Bitcoin was born. Bitcoin has come a long way from that initial statement by Bitcoin’s pseudonymous founder, Satoshi Nakamoto. The technology is growing up and changing, from its early days as a project adopted by impassioned technologists and libertarians to a technology widely researched and used by financial institutions worldwide. Bitcoin had a rough road ahead of it, as did many early technologies, including the Internet. It dealt with newspaper headlines lambasting Bitcoin because of its connection to Silk Road and drugs. Early adopters suffered millions of dollars in losses when early exchange Mt. Gox imploded. “Bitcoin is Dead,” many prophesied. And yet, as Bitcoin approaches its eighth birthday, we see things changing. It is turning into that curious, wide-eyed technology with ideas as widespread as any normal eight-year-old. Cross-border payments, machine-to-machine transactions, smart contracts, microtransactions and stock settlements all have been discussed and developed. Nothing is off limits; no question goes unasked. From the early days of mining using a laptop computer, now Bitcoin miners have industrial-sized data centers with hundreds of thousands of high-powered, specialized machines. In January 2014, the Bitcoin network hashrate was only 10 million GH/s. Today, it is more than 1 billion GH/s and growing quickly as new mining machines are built and sold. Around January 2014, there were around 50,000 Bitcoin transactions daily. That measure of network utility has increased to more than 200,000 Bitcoin transactions daily. A big part of this growth in transactions is linked to the growth in Bitcoin-accepting merchants. In mid-2014, there were approximately 65,000 merchants who accepted Bitcoin. Now, there are more than 100,000, which represents a 50 percent increase. 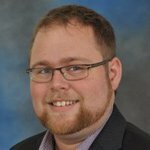 TigerDirect, a publicly traded online electronics retailer, has seen incredible results. Of all the buyers that used Bitcoin, 46 percent of them were brand new to TigerDirect. Further, orders placed with Bitcoin were 30 percent larger. BitPay, a Bitcoin payment processor, also has seen a significant increase in volume. It announced in a blog post written at the beginning of 2016 that it has experienced a transactional increase of 50 percent in the last two months and an increase of 110 percent in the past 12 months. BitPay also saw record-breaking months for Bitcoin transactions in November and December of 2015, with more than 100,000 BitPay invoices processed each month. BitPay explains in the post, “At these rates, every 25 seconds a shopper somewhere in the world was spending Bitcoin at a BitPay merchant.” In Latin America, total transactions were up 1,747 percent in 2015. Bitcoin as a tool of transaction is growing. Bitcoin as an asset class is also maturing. For the majority of 2015, the price stayed relatively nonvolatile and constant, fluctuating between $200 and $300. It was only toward the end of 2015 that the price experienced a significant increase, reminiscent of the early years, to finish the year as the world’s top performing currency (down from -67 percent in 2014 to +35 percent in 2015). From January 1, 2013 to January 1, 2014, the price went from $13.41 to $808.05, going as high as $1,147.25 on December 4. Just one month earlier, on November 4, 2013, the price was $225.20. Even the “bubbles” in Bitcoin are maturing. On the other hand, the market cap of Bitcoin is down from an all-time high of nearly $14 billion to around $6.5 billion at the time of writing. Venture capital funding continues to pour into the space. In 2013, Bitcoin companies raised only $93.8 million. In 2014, firms raised $314.7 million. In 2015, Bitcoin and blockchain companies raised more than $1 billion. Regulations are also changing. Before, there were politicians decrying Bitcoin because of its use on the underground marketplace Silk Road. 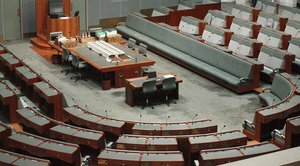 Now, organizations such as Coin Center and the Chamber of Digital Commerce work to help these politicians and regulators draft rules that will ensure Bitcoin can continue to grow worldwide. New York has led the regulatory charge with its recent BitLicense initiative. The European Union also recently ruled that Bitcoin was not subject to VAT, providing significant clarity for those participating in the ecosystem. Finally, the development of blockchain companies and enterprise solutions continues to grow. In 2015, Bitcoin and blockchain enterprise development generated over $1 billion in capital investments, with the first quarter of the year surpassing the total amount of funding for the entire previous 12 months. To date, more than 65 banks and financial institutions have made investments in the industry, and businesses in diverse fields ranging from health care to insurance to global supply chain trade networks have entered the arena. The year 2016 has seen Augur, a decentralized prediction market, announce that it had raised $5.1 million in a crowdsale. Ethereum, the smart contract and publishing platform, raised $18.4 million in its own crowdsale. It is expected that OpenBazaar, the completely decentralized peer-to-peer ecommerce site, will launch in the coming months. Blockchain technology is rapidly ushering in a new world of data integrity that will impact industry and commerce on a magnitude comparable to the dawning of the Internet. Bitcoin is not just on the fringes anymore; it is becoming mainstream. Whether it's miners, payment processors, wallets, developer tools, large-enterprise blockchain solutions or innovative new fintech accelerators, the reality is simple. Bitcoin and its blockchain are growing up. And the future they are opening to the world is as vast as that unlocked by any of the greatest technologies in history.